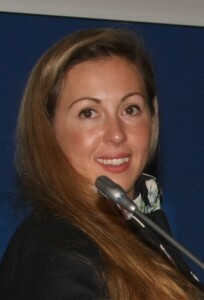 Inga Arlauskaite received her Master’s degree in European Studies from Vilnius University in 2008. She co-authored a book The Occupation Army in Lithuania in 2007, which analysed Soviet occupation in Lithuanian territory. She used the Radio Liberty and Voice of America collections for her research and dissertation on Western radio broadcasts to the Baltic States.